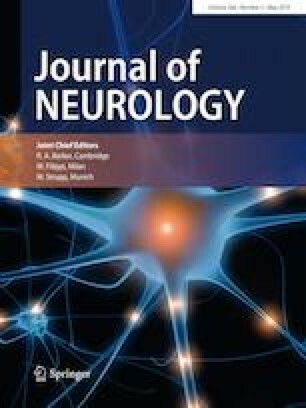 We report a young wheelchair-dependent patient with an unclear proximal myopathy and a heterozygous, de-novo Cav1.1-R1239G mutation suggesting hypokalemic periodic paralysis (HypoPP). Sonography showed a loss of the pennate pattern indicative of an edema, whereas fatty degeneration was excluded. Within 7 days of therapy with spironolactone, potassium and physical therapy, muscle strength almost completely normalized, a normal pennate pattern appeared and the edema was markedly reduced. She learned to walk without aid and to do sports and has continued to do so for 11 years until now. Over the years, we tested serum potassium values, muscle strength, muscle edema and muscular sodium content by 1.5 T, 3 T and 7 T 1H and 23Na magnetic resonance imaging. No fatty muscle degeneration developed. Muscular edema-like changes only occurred when she was pregnant and was set to reduced therapy. Because of the ability to do sports again, her mobility was further increased. Our observational study on this single patient may suggest that: (1) muscle imaging and molecular genetics are important diagnostic tools, (2) weakness in periodic paralysis may be reversible, and (3) continued adequate therapy may preserve muscle structure and strength on a longterm, whereas weakness due to fatty degeneration could be considered progressive and irreversible. Although HypoPP is a rare disease, it should be included in differential diagnosis not only if there is paroxysmal weakness, but also in cases of myopathy of unknown origin. Dedicated to Eva Luise Köhler, former First Lady of Germany and patron of the ACHSE (Chronic Rare Disease Alliance) and our mentor, colleague and friend, Frank Lehmann-Horn, who initiated the study and sadly passed away in May 2018. We thank the patient for the perfect compliance. K. J. R. and M. A. W. were supported by the Eva Luise Köhler Research Award for Rare Diseases. F. L. H. was endowed Senior Research Professor of the non-profit Hertie-Foundation. K. J. R., H. L. and F. L. H. were supported by research grants from the German Federal Research Ministry (BMBF, IonNeurONet, 01GM1105A), and K. J. R., M. A. W. and F. L. H. by the German Society for Patients with Muscle Disorders (DGM).